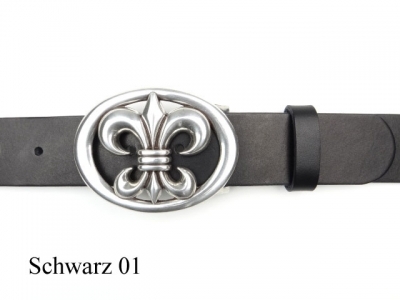 and leather loop, 4cm wide. 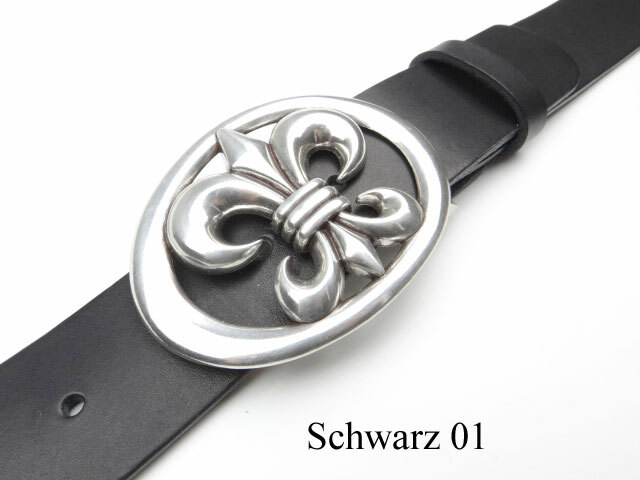 According to legend, the Fleur de Lys was sent from heaven to king Chlodwig 1 by an angel. Eversince, the Fleur de Lys has adorned many heraldic shields. 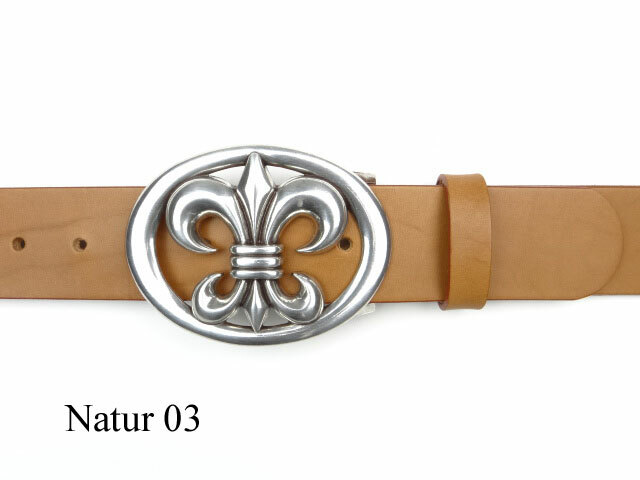 Also known as the french lily, it is the most frequently illustrated symbol of the french monarchy. 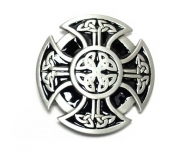 The central leaf represents faith while the two outer leaves stand for wisdom and knightlihood. 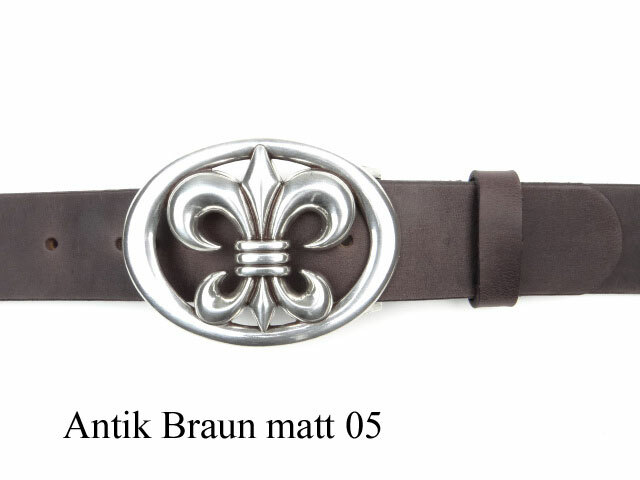 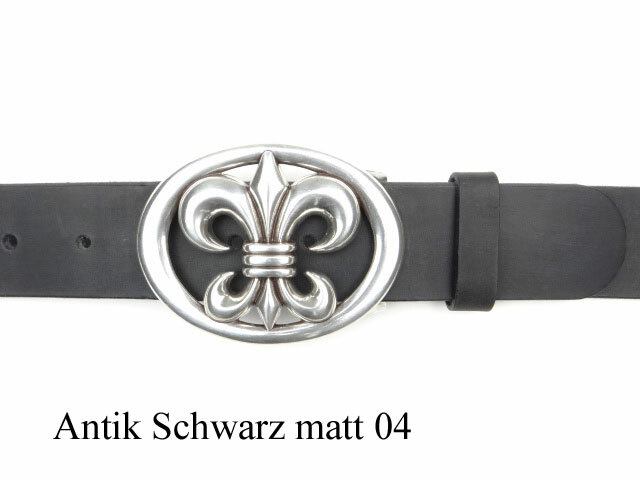 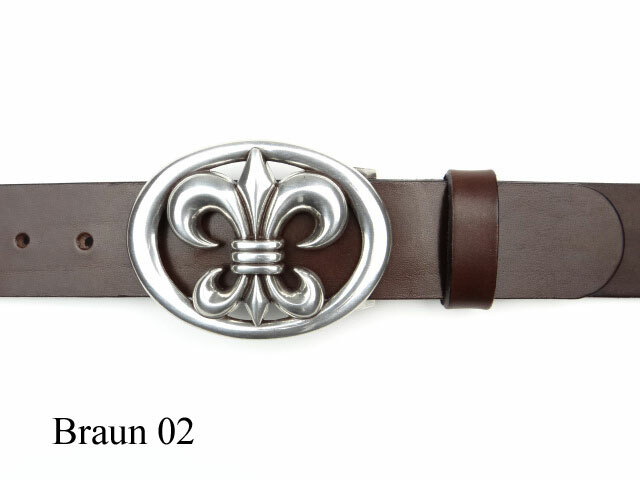 This perfecty crafted belt is available in 5 different colours.